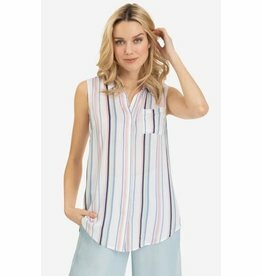 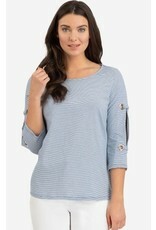 Speak to your inner seafarer with this nautical-inspired top. 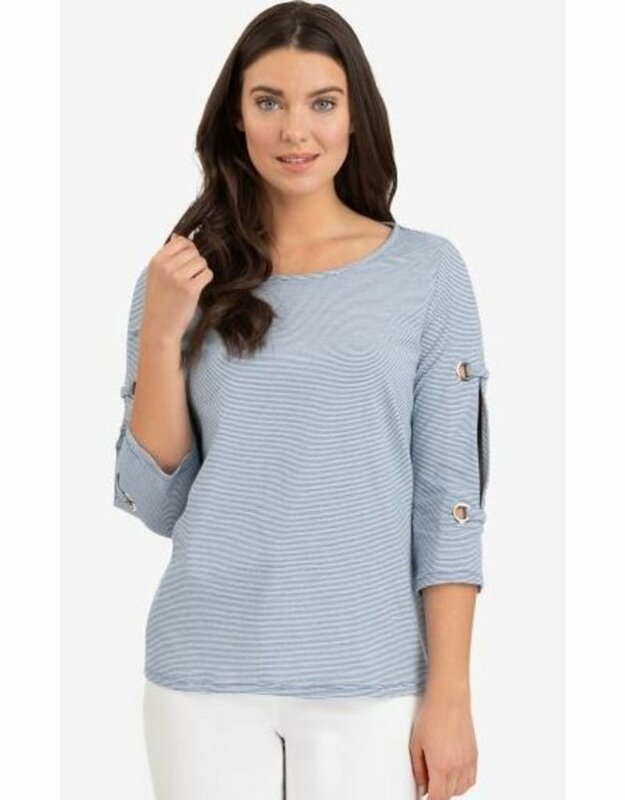 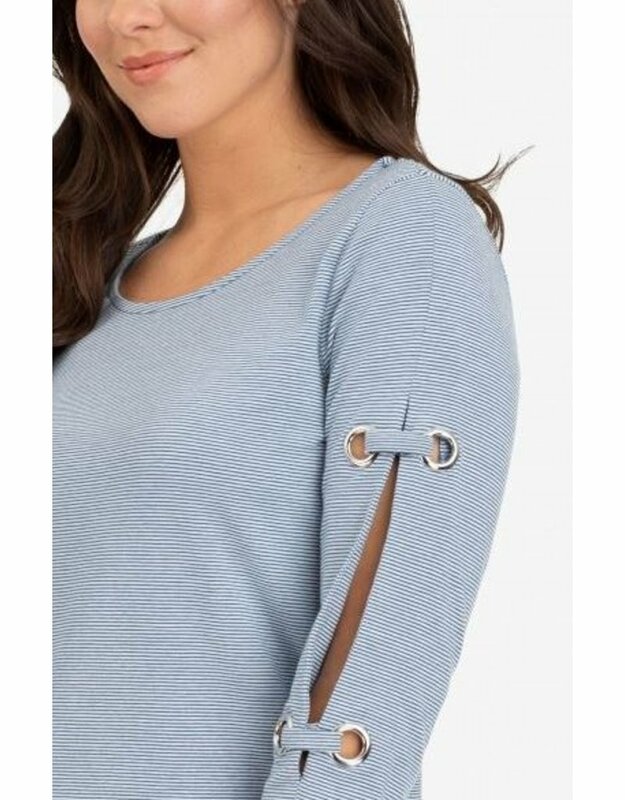 Its three-quarter sleeves feature two pairs of statement metal eyelets running down the side, and its micro-stripe fabric could steal any sailor's heart. 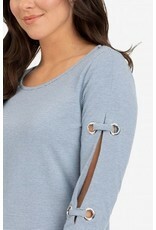 Wear this piece with your comfiest leggings or a simple pair of jeans for the ultimate casual getup!